Rumor has it that Google might release Android Wear 2.0 on February 9. The new version of the OS for wearable devices will be available to all those who own compatible smartwatches in early February. 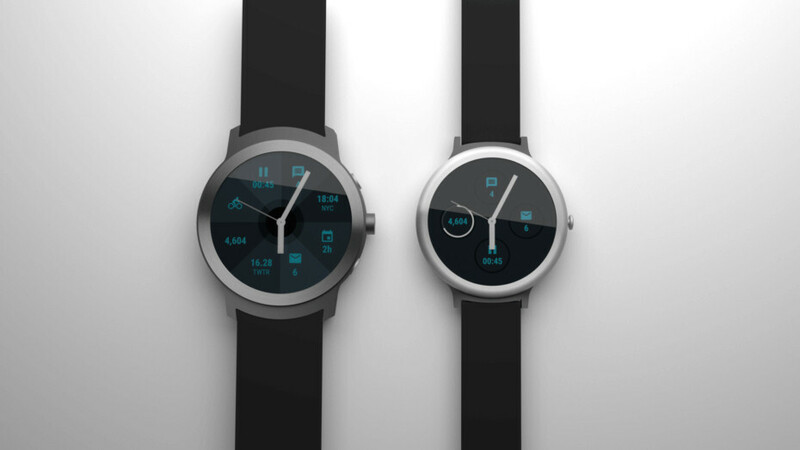 Along with the Android Wear 2.0 announcement, Google is also said to unveil its first smartwatches powered by the new OS, which are built by LG, the Watch Sport and Watch Style. While there's no mention of price yet, we do expect both LG smartwatches to go on sale in the United States on February 10. They will be available in other countries in the coming weeks, but LG will also showcase them at Mobile World Congress. Specs-wise, the LG Watch Sport is the better geared. It sports a 1.38-inch OLED display with 480 x 480 pixel resolution, 768MB of RAM, 4GB of storage, and a 430mAh battery. On the other hand, the LG Watch Style features a smaller 1.2-inch OLED display that supports 360 x 360 pixels resolution, 512MB of RAM, 4GB internal memory, and a 240mAh battery. Both smartwatches come with iOS compatibility and multiple connectivity options including Wi-Fi and Bluetooth. However, the Watch Sport offers cellular connectivity (3G and LTE) as well, along with GPS and NFC (Near Field Communication), which allows users to take advantage of Android Pay. LG Watch Sport and Watch Style come with deep Google Assistant integration, but the former also features heart rate sensor and “unthetered telephony with the same phone number as a user’s primary handset.” The former benefits from IP68 certification, while the latter has IP67 certification for water and dust resistance. Another interesting piece of information revealed before the official announcement is the addition of a digital crown button that would allow for easier operating of the smartwatches. Looking forward to some new Android Wear hardware around my wrist. That LG watch sport with that 480x480 resolution display should be awesome, especially since it has LTE, and Android Pay. That is some cool stuff. I wish I could get a rugged android wear smartwatch with an always on sunlight readable display with a battery life of 5+ days. Unfortunately this probably won't happen for another 5 years. The Casio WSD-F10 and now F20 have a watch display that will last a month. The F20 is Mil-810G certified. So it's shock, dust, and water proof to 50 meters (150 feet). The Nixon Mission is also Mil-810 certified, but its water proofing allows it to go down to a depth of 100 meters. It won't last 5 days. But you can get a good two days, maybe 3 if you push all the power saving modes on. I'm not seeing where the Casio watches can last a month on one single charge. The Nixon Mission is a decent looking watch but a bit bulky for my taste. The waterproofing is awesome on both and should be a standard on smartwatches in my opinion. I was so looking forward to these but the Sport is Massively Thick 14.2mm thick & the style has no heart rate monitor. It is going to take a lot to get me out of my Gear S2 Classic. It is pretty thin (relatively), has a beautiful full round screen, has a HR monitor and NFC for Samsung Pay. Also the rotating bezel is awesome. I got it in like new condition for only $80 on CL. I may try the LG Style.